Dreaming about upgrading that fading and leaky roofing? Before you get that massive project started, make sure you know the pros, the cons, and the costs of natural slate roofing. 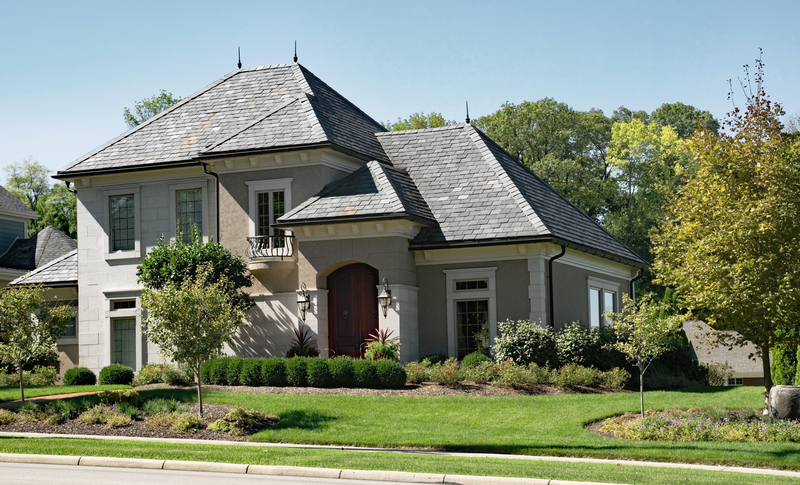 A beautiful, natural slate roof is the calling card of a truly remarkable home. A natural slate roof is made from stone that’s been extracted from the earth and cut into shingles – it is literally millions of years in the making. The stone comes from sedimentary rock composed of clay or sometimes even volcanic ash that has changed, or, to put it into geological terms, metamorphosed. The advantages of slate roofing tiles are aplenty, as they’re world-renown for being incredibly durable, water-resistant, and fireproof – did we mention they look fantastic? 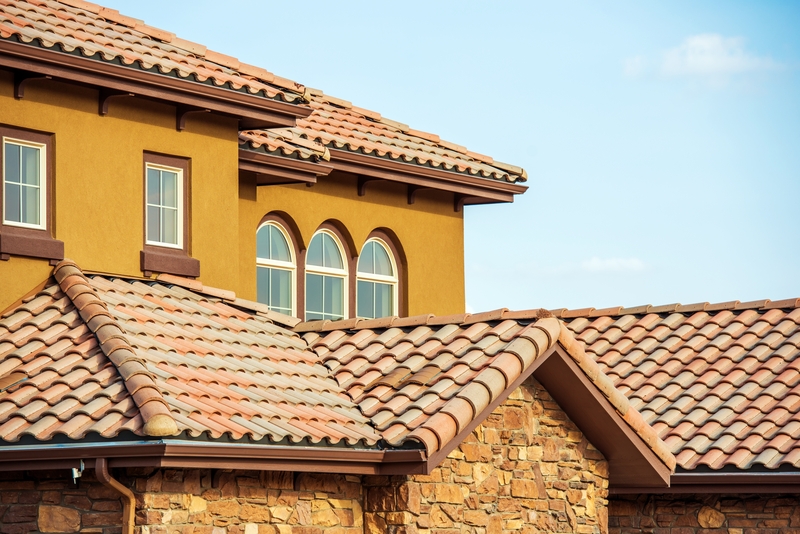 If you are in the market for new roofing materials, it doesn’t get much better than slate tile roofing, as it has long been considered the gold standard. While slate roofing tiles make a wonderful addition to any home, they do come with some difficulties and disadvantages of their own. These shouldn’t be deal breakers for most homeowners out there, but it is a good idea to know what you’re getting into before an expansive and time-consuming home improvement project gets underway. That’s where the comprehensive guide to slate roofing tiles comes in – read on and never be surprised by the intricacies of your latest home renovation undertaking. The first thing you’re going to notice about any well-done slate roof job is how stunning it looks. This is the major reason homeowners are drawn to slate roofing in the first place, and its subtle, classy beauty cannot possibly be overstated. Most simply, people are attracted to slate because of its appearance – no shocker there. Also, slate tile roofing comes in a variety of sizes and colors ranging from gray, green, black, red, purple, and even several of them mixed together. Since these stones are literally millions of years old, it’s no surprise that slate roofing is highly regarded for their incredible lifespan. You can expect to get some serious longevity out of your roof – we’re talking at least 100 years! It doesn’t get much tougher than natural stone, and depending on the thickness these roofs can be borderline indestructible. Slate roofing is a resilient building material, as it’s not much impacted by severe elements – extremes from fire to water. In fact, slate tiles themselves are completely fireproof, making them one of the safest roofing materials out there. This will certainly come in handy and ensure your home won’t catch fire from sparks from things like fireworks, wildfires, and nearby house fires. Also, slate roofing has an insanely low absorption rate, so it will not be affected by water and is unlikely to freeze during a harsh winter, which can sometimes lead to roof cracking. 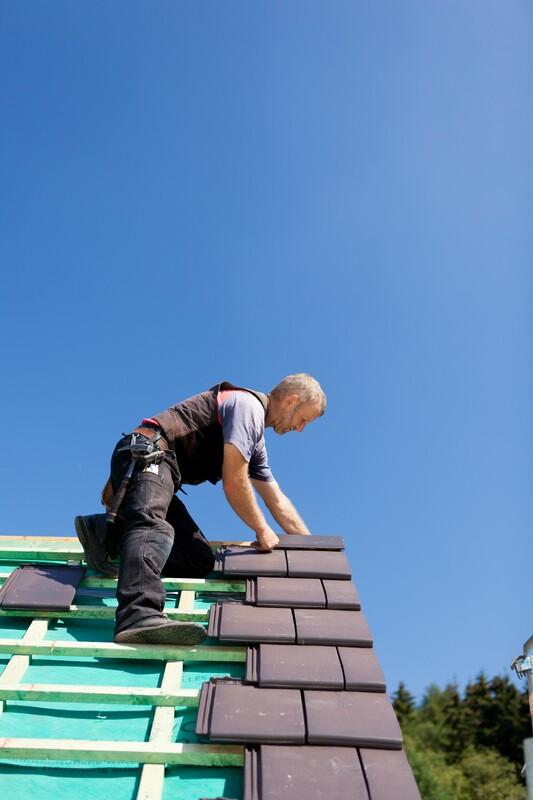 One of the biggest environmental wastes out there is the amount of cheap roofing that needs to be torn up and tossed out every other decade or so – not an issue when you install long-lasting slate roofing. Asphalt shingle roofing cannot even dream of holding up as long as slate shingles, so if you care at all about your carbon footprint they are surely the better option. The environmental impact of a roof lasting maybe five times as long cannot, and should not, be undervalued. Installing slate roofing is going to be substantially more difficult than your standard asphalt shingle job. 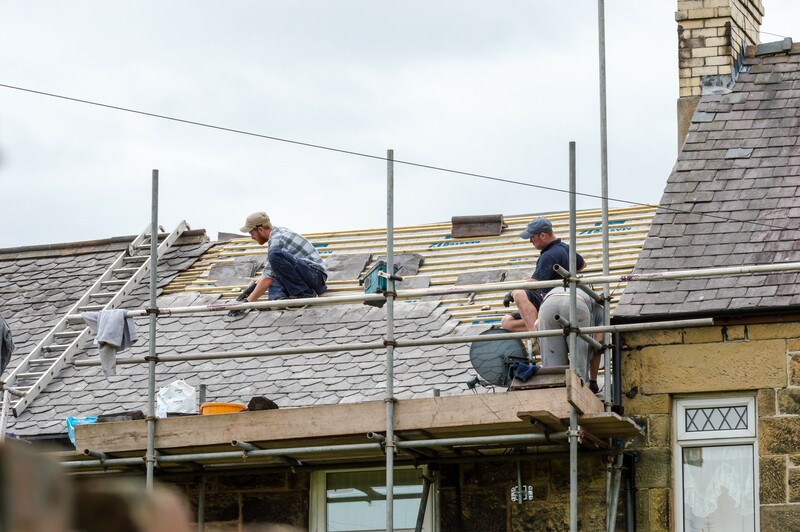 Many roofing contractors know surprisingly little about installing a slate roof, so make sure that you get in business with a professional – this type of roofing requires an experienced hand. A well-done slate roof should last over a century, so it only makes sense to have it installed by somebody who knows what they’re doing. Otherwise, you’re just asking for a headache as this material is quite heavy and not cheap to acquire. Putting in slate tiles can add over 500 pounds to your roof, so be sure that the surface and surrounding areas are structurally sound. Further, it would be wise to have a structural engineer inspect the area prior to the installation, just to be sure that your roof is prepared to hold all that added weight. We will get into cost a bit more below, but the substantial price of the slate tiling must be factored in before making a decision, and, unfortunately, the slate is going to come sporting a pretty hefty price tag. This also makes your roofing contractor all the more important, as you will be laying out a good deal of money to get this style of roof over your head. Let’s talk a little more about cost, as it’s definitely something you’ll want to consider about slate roofing tiles. It’s clearly one of the biggest cons, but if you can swing it the tile brings bounties of rewards. Part of these high costs will come from the tough installation requirements, but the materials themselves are pretty pricey. Depending on the grade and thickness of the slate tiles, homeowners should expect to pay between $5 and $8 per square foot – and this is just for the materials. If you factor in labor and installation, your cost will be roughly double that per square foot. Of course, the price is going to vary from installer to installer, and it can vary quite widely depending on the quality and reputation of the roofing contractor. The location will also play a pivotal role, as materials cost different prices different places – not to even mention the labor wage variances. Just know for certain, installing beautiful, natural slate roofing tiles will not be cheap. Whenever you install slate roof tile, you greatly increase the value of your home. This can be great when it comes to resale value, as the prospective buyers will be impressed and undoubtedly more attracted to the idea of buying. So, even if you have to part with your precious slate roofing tile, you will most definitely be well compensated for the work you put in. However, even though slate is incredibly durable to the elements, they can break quite easily if stepped on by a careless worker. Always be cautious and tread lightly if you have to get up on your tile roof, as finding a replacement tile that matches might be nearly impossible. Everything about slate roofing is intricate and highly specialized, so be sure to protect your investment. 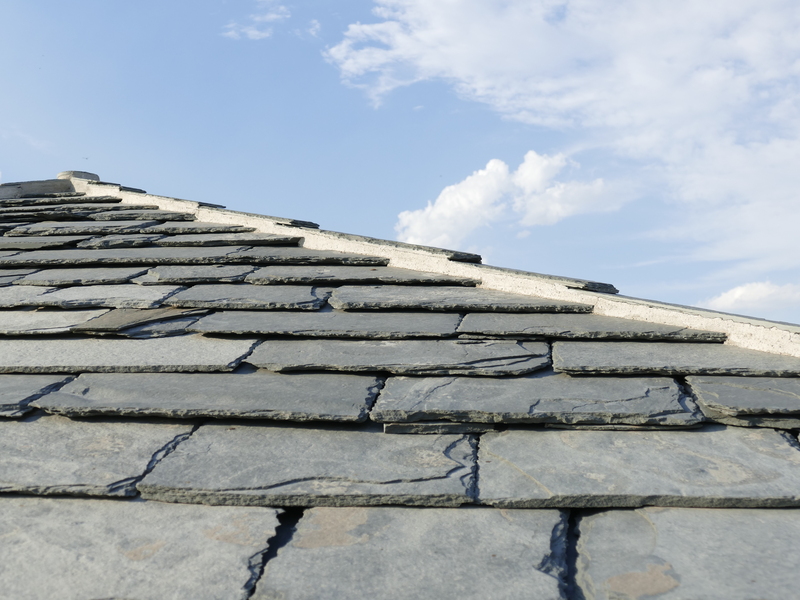 The advantages of slate roofing tiles are clearly abundant, and it’s not hard to picture why they are a preferred choice among homeowners – if their budget allows for it, obviously. Always hire an experienced contractor with a background in slate roof tiling, as proper installation will be critical to longevity and life. Finally, don’t be scared away by the cost, as slate tiles are among the most sought-after building materials on the market and a welcome upgrade to any home.